Nearly two years ago I spent a fabulous 8 weeks following The Kitchen Challenge programme run by The Wiggly Worm and Rob Rees - it was wonderful seeing the transformation of the pupils over the weeks and I had a great time photographing all sorts of food preparation and cooking. 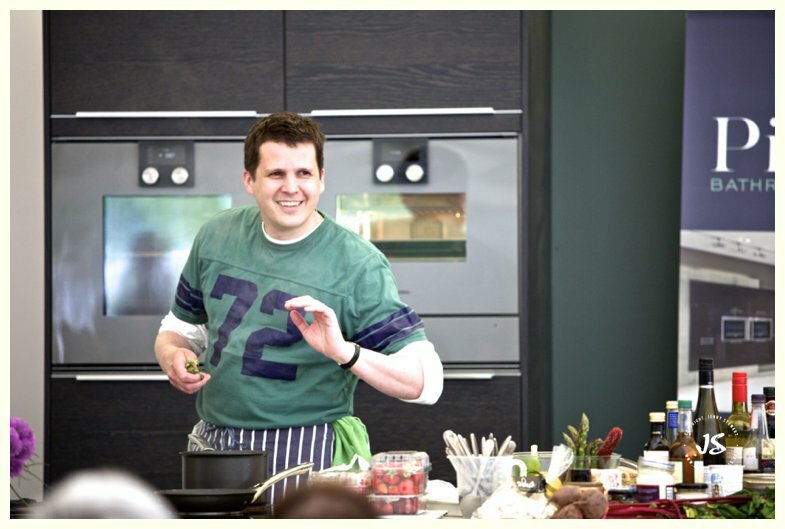 So when I bumped into Rob at the Cheltenham Food and Drink Festival the other month, I was delighted when he asked me to photograph the cookery demo that he and Phil Vickery would be doing later on in the Festival. Luckily I was free - though even if I wasn't, I think my husband would have made me change my diary - as an avid rugby fan he saw as it a perfect opportunity to get an autograph!!! And what a double act the two of them were! It was one of those shoots where I really had to concentrate and not get too wrapped up in the banter going on on the stage! They really made a great team and were obviously having way too much fun! - I think there's numerous caption competitions that could be run with the images I got! - and it did make for a thoroughly entertained audience! However there were the occasional glimpses of how scary it might have been to meet Phil on a rugby pitch - though what his old team might have made of the asparagus I'm not so sure! 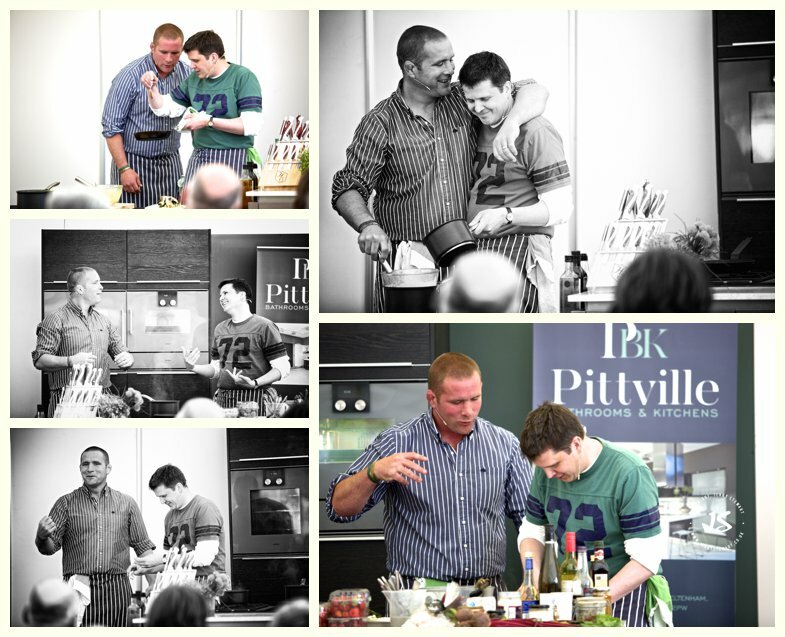 I'm now eagerly awaiting the Rob and Phil cookery book, TV show and of course the opening of their pub!